When players get quite a big amount of coins (for example after exchanging some rare items), they have a few choices what to do. You can either sell OSRS gold to get some extra money, or you can stock up on needed Runescape items. 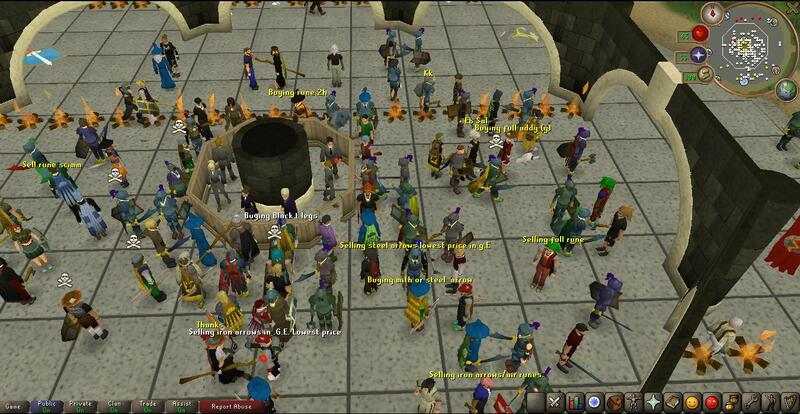 RuneScape creators try their best to help control the amount of gold that is in the game. That is why there are NPCs which take your money (burns the surplus), some items cost more than others. After all, the idea is that you should buy the needed items with money you have earned. So if your sack is not filled with billions of gold pieces, you should not be thinking about selling money. So which items should you get? The short answer would be “the ones you will use later”. If that is too vague, think about it this way: how do you usually get more rewards? By skilling, attacking, or questing? Do you prefer melee or ranged attacks, or maybe you are a Mage? Search for items that can provide you with most bonuses but also would be reasonably priced. When you should sell OSRS gold? If you have at least a couple of billions coins, you can start thinking about selling them for real money. This can be done using various platforms that exchange virtual money for real world money. This decision can come by for players who need a little bit of extra money or they have a big amount of coins and no more items they wish to purchase. This can also happen when players decide to quit the game and don’t want their hard work go to waste. This difficult decision, whether you should sell OSRS gold or exchange it for some cool items is personal for each gamer. It depends on the items you have, on the amount of gold you have and items you need. Just a tip – think before you sell or exchange.